Rama Navami (13th April, 2019 Saturday) is the birthday of Shri Rama. It is observed on the Navami tithi in the chandramana month of Chaitra. Shri Rama is considered the perfect person, the model man. He rules our Manipura Chakra which is the chakra of planet Sun. Rama is said to have come from Surya Vanshi dynasty, the Solar Dynasty. This chakra flowers when we become perfect in power and embody the qualities of perfectionism via learning lessons of life. • Satyavaakya : Honesty – Always speak the truth. • Jaataroshe DevaaH bibhyati : If angry, even gods fear. Ramayana is not just a story that took place centuries ago. This epic has deeper philosophical and spiritual truths, which need to be explored at length. The names of the characters give us clues that are vital to gain a deeper understanding of this narrative. Rama was the eldest son of Dashrath and his senior queen Kaushalya. The name ‘Dashrath’ means the ‘Ten Chariots’. These ten chariots symbolise the five sense organs and the five organs of action. The five sense organs of the nose, eyes, ears, tongue and skin together represent the lunar, or the passive function of the mind. The five organs of action regulate locomotion, work, elimination, reproduction and speech, together representing the solar and active function of the mind. ‘Kousalya’ refers to ‘skill’. This implies that only the skilful rider or handler of these ten chariots can give birth to the Rama within. Thus, a sadhak who has trained the ten senses through practice of meditation will be successful in finding the radiance within. Another clue lies in Rama’s birthplace, the Kingdom of ‘Ayodhya,’ which means ‘a place where no war can happen’. Only when there is no conflict in the mind, when the mind has been completely stilled of warring thoughts, and has surrendered to the Supreme Element, only then inner radiance will be visible. So at one level, the epic ‘Ramayana’ is playing within your own body, when you try to live a spiritual life. Your Soul that walks on the path of Dharma is Rama. Your Ego of the senses is Ravana. When the Consciousness (Sita) is stolen by the Ego of senses (Ravana), then the Soul (Rama) becomes restless. Now the Soul (Rama) cannot reach the Consciousness (Sita) on its own. 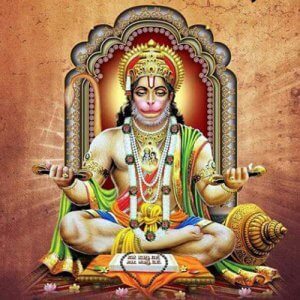 It has to seek assistance from the ‘surrendered mind’ (Hanuman) by cultivating an awareness of love (Laxmana). And when the Consciousness (Sita) gets reunited with the Soul (Rama), the Ego (Ravana) is annihilated. Just as Sita had to face the purity test, the consciousness lives the test of purification by walking through the fire test. Eventually, it submitted itself to austerity in the ashram of Sage Valmiki and later, this Consciousness dissolved into oneness with earth, as Sita merged with Bhumi.